In anticipation of Valentine's Day, I cast around for a good Retro Friday book to review. I wanted one with a compelling romantic storyline, but not one that was necessarily primarily focused on the romance. You know me. Then I remembered this beautiful book I read, oh, almost four years ago, and it struck me as the perfect one to highlight today. 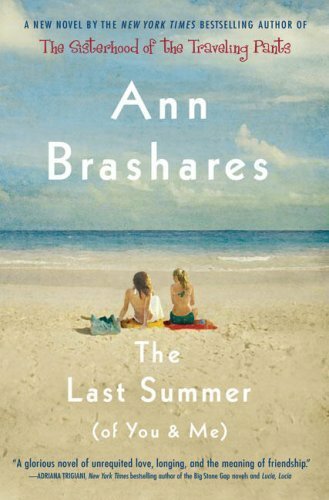 I never hear very many people talk about it as anything other than a beach read (at best) and I wonder if it just flew under the radar a fair bit or if only I thought it was meaningful. I do have to say that I haven't read any of the Sisterhood of the Traveling Pants books and I haven't seen the movie. 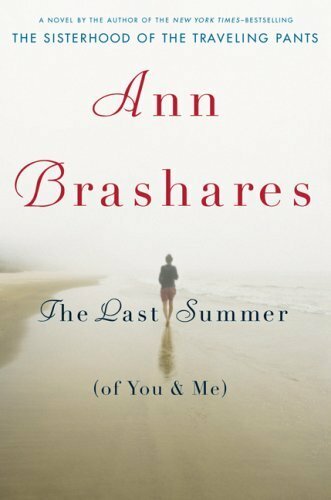 But when I read about Ann Brashares' first adult foray, it sounded like the right time to give her a shot. It was the right choice. I worried a little bit about the title--quite a bit of potential for the overwrought what with the parenthetical subtitle, etc. But it doesn't really bother me after the fact. And, though I'm still not too interested at all in reading her YA books, I've been eying her second adult novel, My Name is Memory , for awhile now. Given how much I enjoyed this one, I figure I'd better give it a try sometime in the near future. Alice and her big sister Riley share a beach home on Fire Island. Twenty-one and ready for something to happen in her life, Alice stands on the dock waiting for their childhood friend Paul to arrive for the summer. It's been awhile since they've seen him, though they grew up spending summers next door to each other in the island. Chasing waves and waiting tables at the local night spot, the three of them were inseparable and they're very much looking forward to picking up where things left off. But, as close as they are, there is one thing Alice has never had the courage to tell Riley. For Alice, Paul is more than a best friend, more than a fellow childhood daredevil. And once Paul arrives on the island, it looks as though the same may be true for him as well. But neither of them want to tell Riley and thereby unbalance, perhaps disastrously, the old triumvirate. And things go on quietly that way for some time. Family issues come to the forefront and occupy much of their time and discussions. And, in the end, it's Riley who surprises them with the something they never suspected or ever would have seen coming. The Last Summer is lovely. It really is. The writing tripped along as pleasantly as waves washing up on Fire Island. Main trio Alice, Paul, and Riley try to navigate their post-adolescent years while holding their difficult three-way relationship intact. I didn't know what to expect of Brashares' writing going in and I was a bit taken aback at how unobtrusive it was, at how nostalgic the tone felt, and yet appreciated how it cautiously steered clear of too much sentiment. I liked the way the characters could struggle to differentiate between the murky miasma of that was then and this is now, but I as the reader never fell into such a quandary. This lent what could have been a too-sappy story a nice cleanliness of line and substance. I fell in love with Alice and Paul. Alice is a somewhat less forceful heroine than I often like, but she's the lodestone around which Riley and Paul orient themselves. And her silent search for love and independence felt earnest to me and reminded me how difficult it can be to exist in the shadow of more assertive and dominant personalities. It's a bit of a heartbreaking story, but full of crystal moments and sure characterization. The quiet, clean writing fit the way the characters were moving into adulthood. Slowly. Reluctantly. If they must. The way we all do. This caught my eye in the bookstore, probably four years ago. I even took the time to read the back. The premise and cover and title really allured me but I never got the chance to pick it up. Maybe I should. :) Thanks for highlighting this one. Yay for Retro Friday Valentine's Edition! I haven't read the Sisterhood books but I did watch the movie and enjoyed it. I've added this one to my wishlist. I feel like I'm in the mood to read romantic stories now that Valentine's is so near. Holly, I think it's worth it. Quiet and lovely. Chachic, yeah, I still have no interest in the Sisterhood books for some reason. S.L., see, you make me rethink my stance. I love that you read them at the same age as the characters. Since I haven't read them, I can't speak to levels of quality. But I really do love this one. I have this book sitting on the shelf. You've made me anxious to get to it!